We did it — thanks to you! We did it! Thanks to your support in our end of year campaign we were able to reach our $100,00 goal and unlock our donor match. 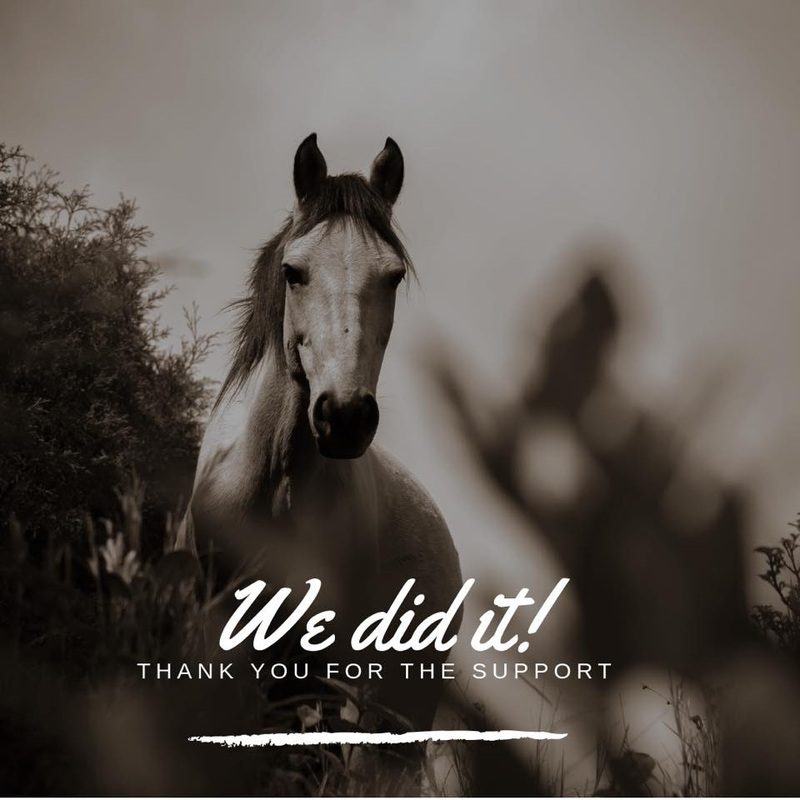 Your support will make an enormous difference for wild horses and burros as we plan and begin executing our 2019 program. We have a lot of work ahead of us, but I know we can always count on you to pressure lawmakers, support our critical legal work, and raise awareness across the country about the plight of America’s magnificent wild horses and burros. We face powerful opposition by the wealthy livestock lobby. But this movement has stood up to the challenge over and over again and we’ll do it again in 2019. As the New Year begins, I am incredibly grateful for your continued support and dedication to this cause. 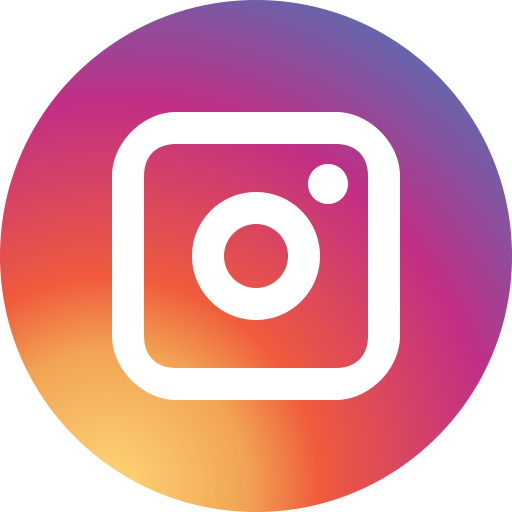 We’ll be in touch soon with updates. Here’s where we stand: With just a few hours to go, we’re falling short of our our $100,000 goal. 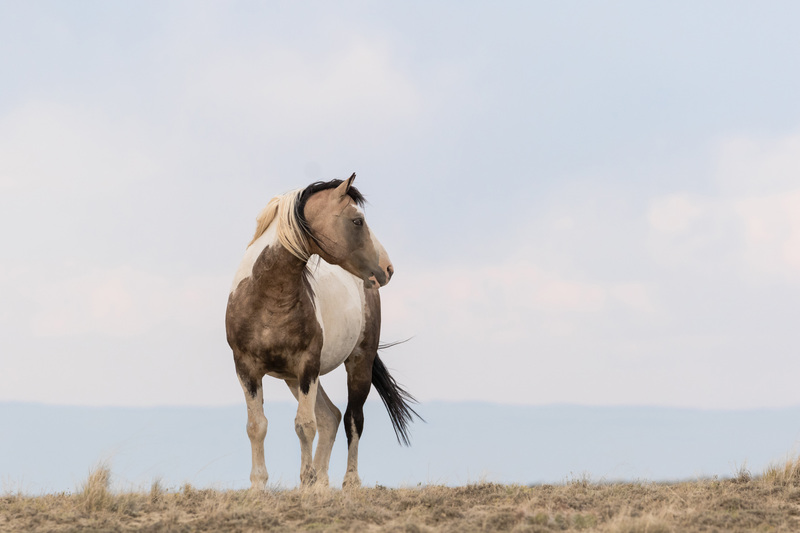 If we don’t hit that goal by midnight, we’ll lose the chance to have those gifts MATCHED – and that means we won’t be able to fight back against all of the threats facing wild horses. Please, chip in right now. We only have hours left. Deadline: 48 hours. 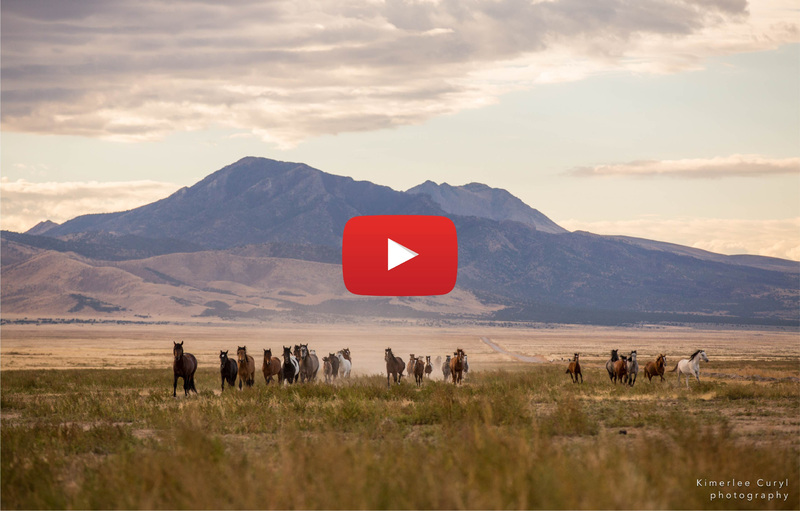 Can wild horses count on you? We’re down to the wire. Our end of year fundraising deadline is only 48 hours away — and we haven’t yet heard from you. 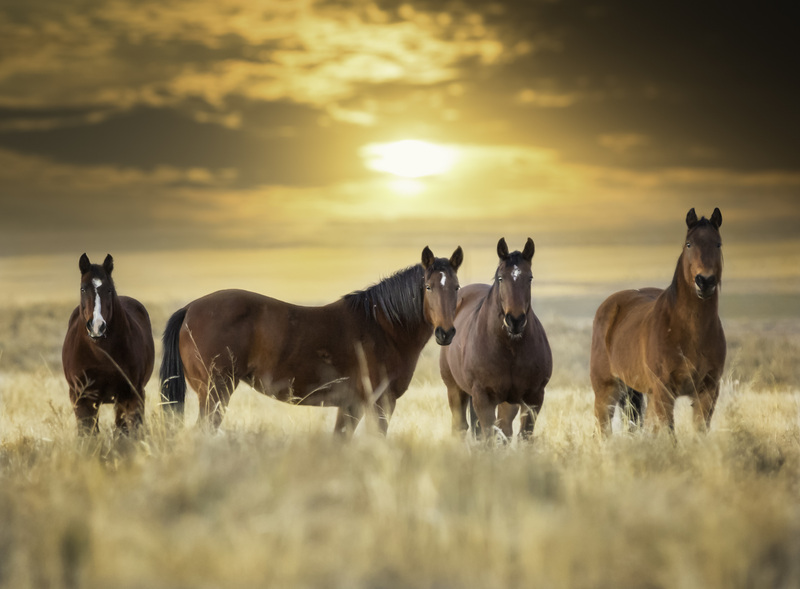 #1 The fate of wild horses is at stake now more than ever. Just this year we’ve seen some of the worst roundups yet, and we had to fight back attempts in Congress to legalize slaughter. We’ll have to continue the fight in 2019 to defeat the powerful special interests seeking to overturn protections for wild horses and burros against slaughter and mass sterilization. 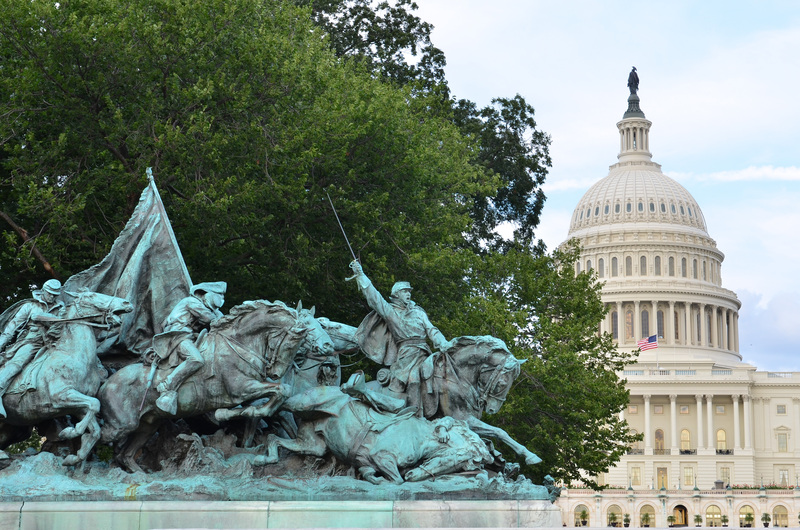 Help us win on Capitol Hill. #2 We’re the most effective advocates for wild horses and burros in the country. We were party to seven lawsuits against the federal government this year — and we’re listed as one of the 30 Great Animal Organizations Worth Your Donations. We have to keep up the fight. 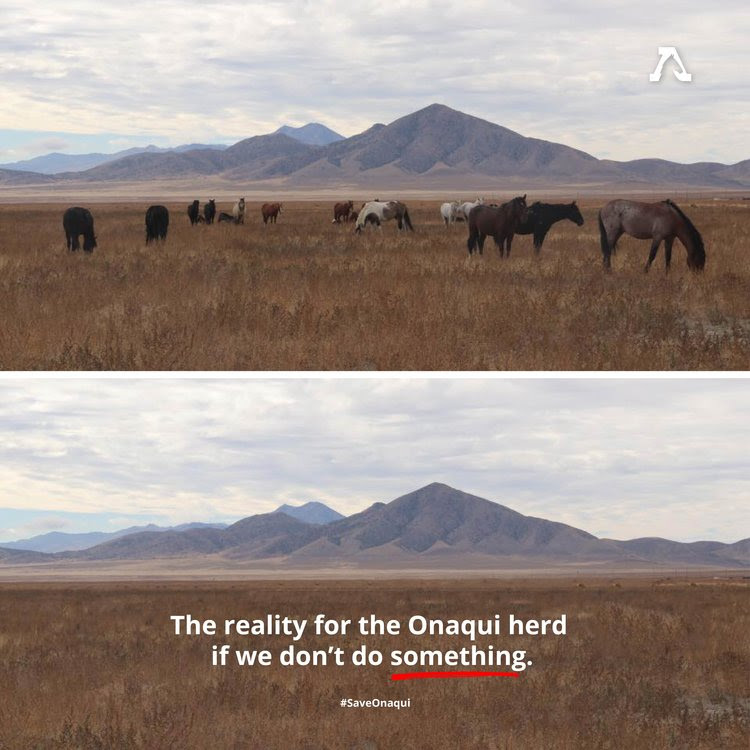 #3 We must unleash a massive grassroots and PR campaign to save the most visible and visited mustang population in the West — the famed Onaqui wild horses in Utah — and defeat a BLM plan to remove 91% of the herd in the Spring 2019. Please support us today. 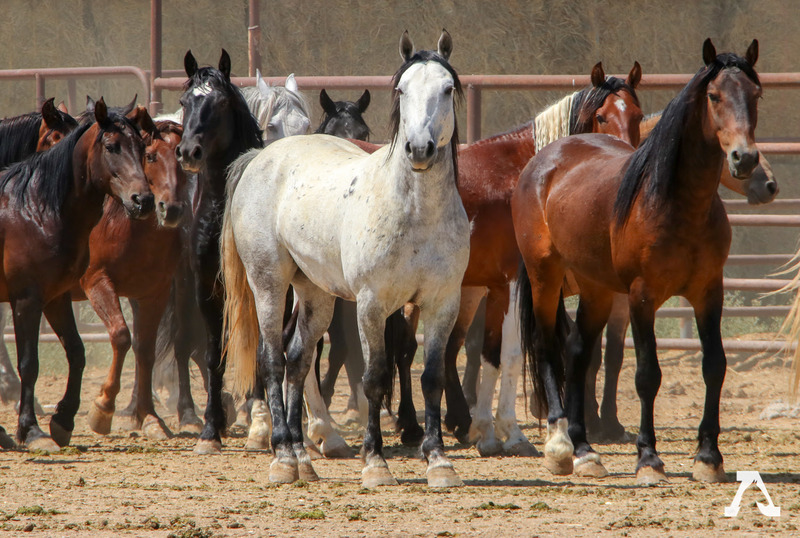 #4 We must defeat the U.S. Forest Service’s plan to sell federally-protected wild horses in California for $1 a piece by the truckload for slaughter, and we must help rescue, when necessary and possible, wild horses facing this horrific fate. 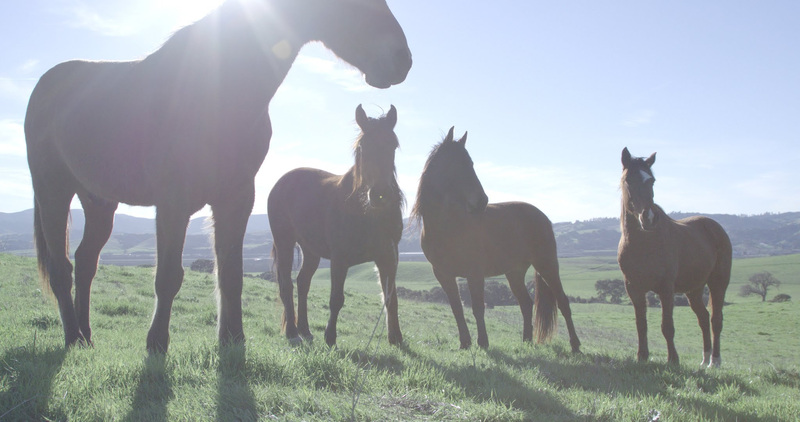 Help us keep wild horses out of the slaughter pipeline. #5 If you donate right now, your tax-deductible gift will be matched. That means twice the impact for our work in 2019. Make your gift twice as powerful right now. If we are not the voices of these majestic animals, who will be? Please make a contribution today. My name is Dustin Brown, and I joined American Wild Horse Campaign’s board last year. I wanted to take a moment to tell you why I’m so proud to be a part of AWHC — and why I hope you’ll join me before our December 31 fundraising deadline. Horses have always been special to me — you can see a photo of my mustang Leroy and I below. And when I saw how many threats wild horses like him are facing, from slaughter to mass capture and sterilization, I knew I had to do something. I had to be their voice. There’s a big difference between rescue and prevention. Although rescue is important, it’s like trying to keep an empty bucket under a faucet that never stops flowing. We need to turn off the faucet — which is why AWHC focuses our work on sustainable, humane management that keeps wild horses and burros wild and free and on our public lands. I know of no other nonprofit as efficient, dedicated, and impactful as AWHC. The team runs a lean operation, activates a powerful movement, and fights aggressively in every arena — from the range to the courtroom. 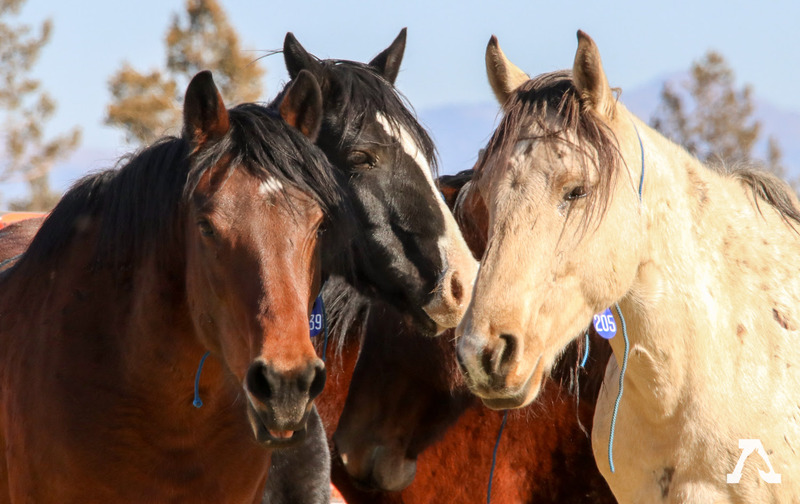 I’ve become a board member because I trust that my time and money is going to go as far as it can to protect wild horses, and you can trust that too. So I’m asking you to join me today in helping us reach our $100,000 end of year goal. 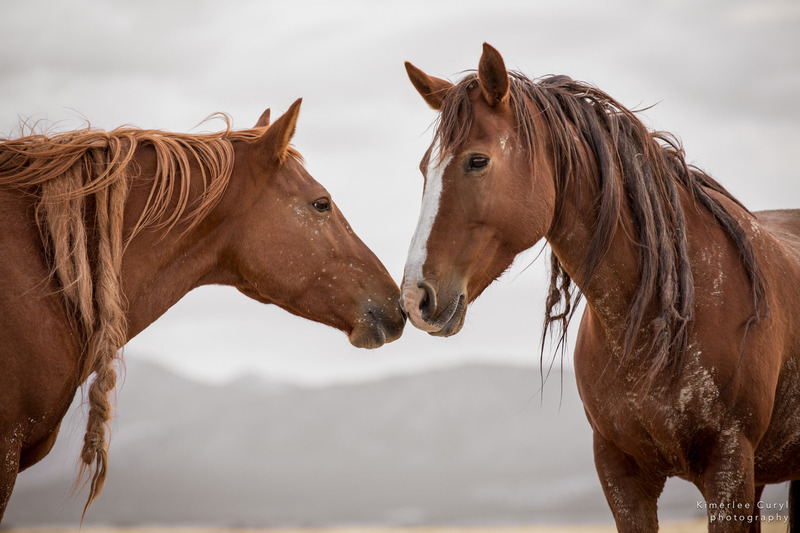 And if you give right now, your tax deductible gift will be matched, and have double the impact for wild horses. Please, donate today. 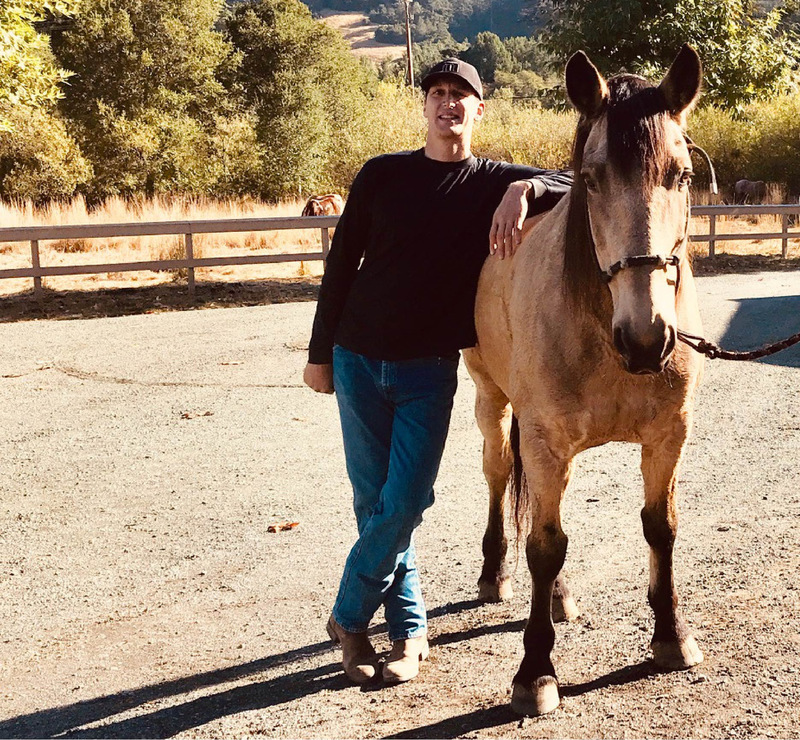 A way to help horses… and a gift! AWHC calendar for every tax deductible donation of $100 or more! 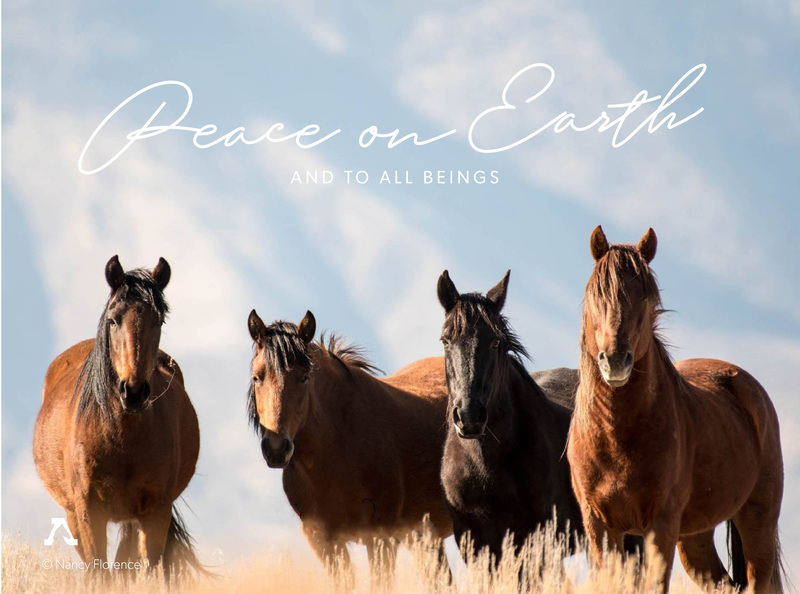 It’s a season of giving — and what better way to celebrate than by giving to America’s wild horses and burros? This year has been a challenging one for our cause, with attacks on all fronts. But from the courtroom to the halls of Congress, we have won repeatedly against some of the most powerful special interests. And it’s all thanks to you and this grassroots movement we’ve built together. We’re hoping you can step up one more time before the end of the year. 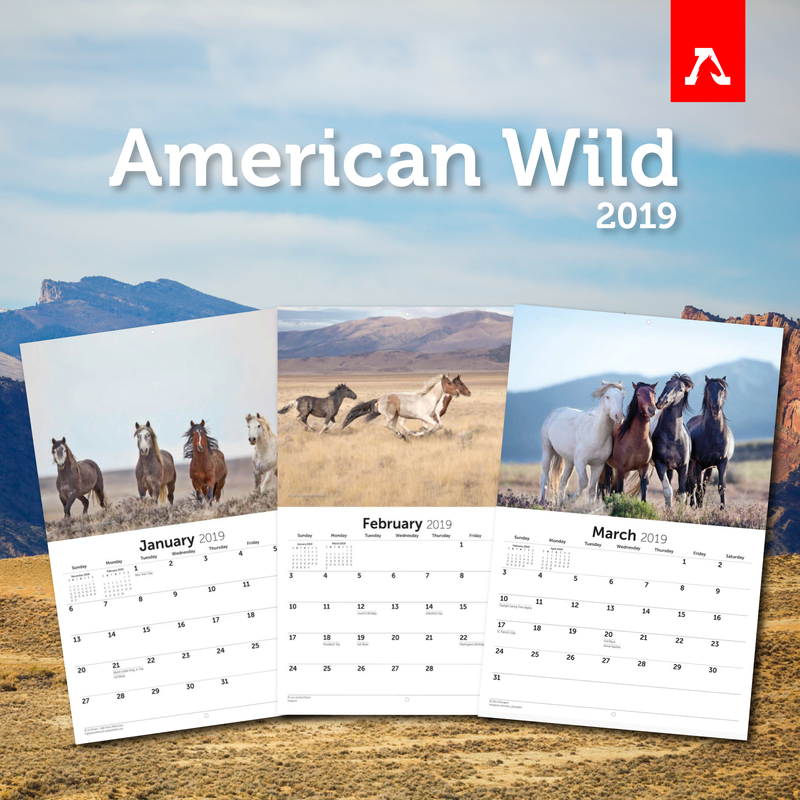 If you give today, not only will your tax deductible donation be MATCHED, but we’ll also send every donor who gives $100 or more our 2019 American Wild calendar! Please chip in now to make twice the impact and claim your calendar! 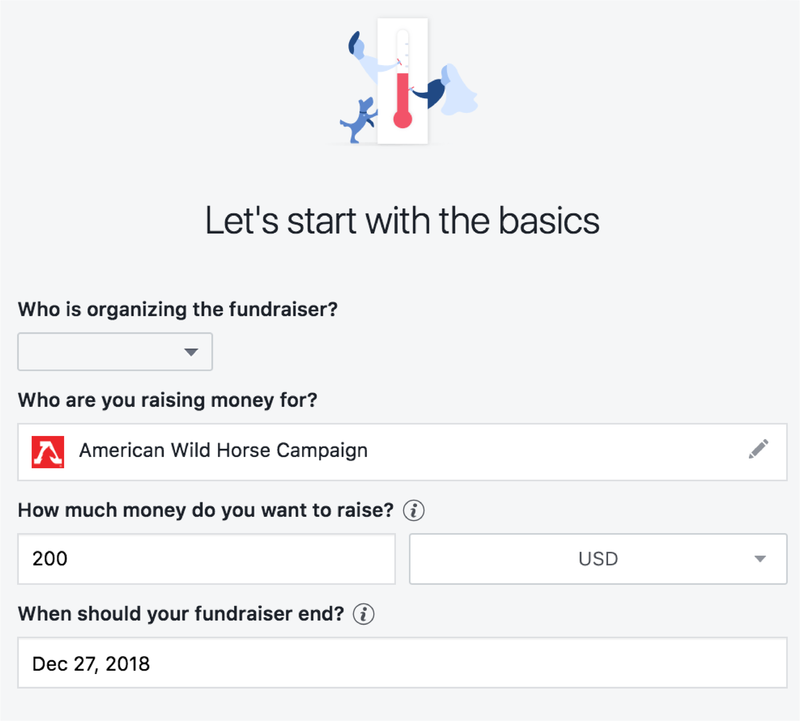 If you can’t spare $100 for wild horses, we totally understand — we appreciate every single dollar, and every dollar goes towards our work in 2019. Thank you so much for standing with us and our wild horses and burros this year. 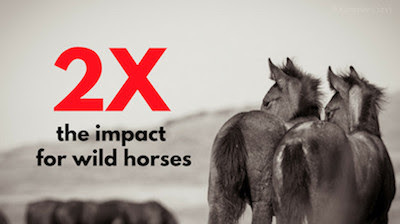 Your matched, tax deductible gift goes TWICE as far to save wild horses. 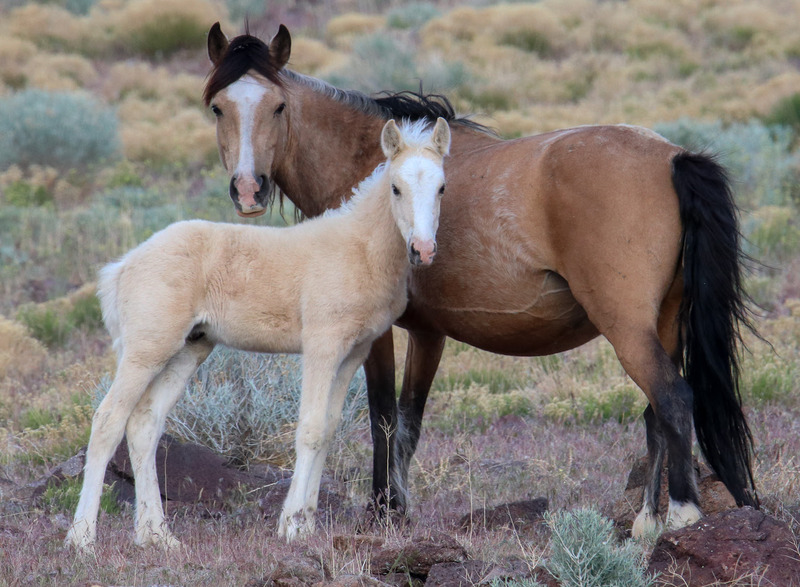 In August of this year, a photo of an unnamed foal went viral after our documentation of the Bureau of Land Management’s Red Desert roundup in Wyoming. 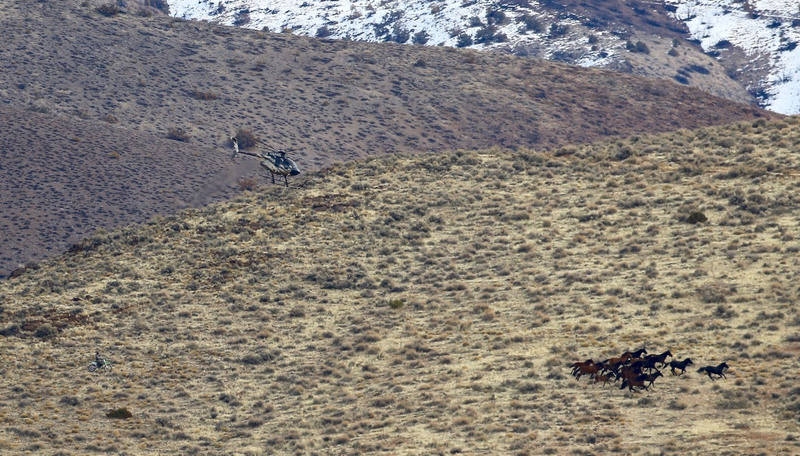 We showed the world the cruelty of BLM helicopter roundups up-close. The tiny foal was chased for miles with his mother and the rest of his band. As they neared the trap, his mother tried to save him, bravely putting herself between her baby and the helicopter. But ultimately, she was no match for the terrifying machine in the sky. She and her foal were captured. 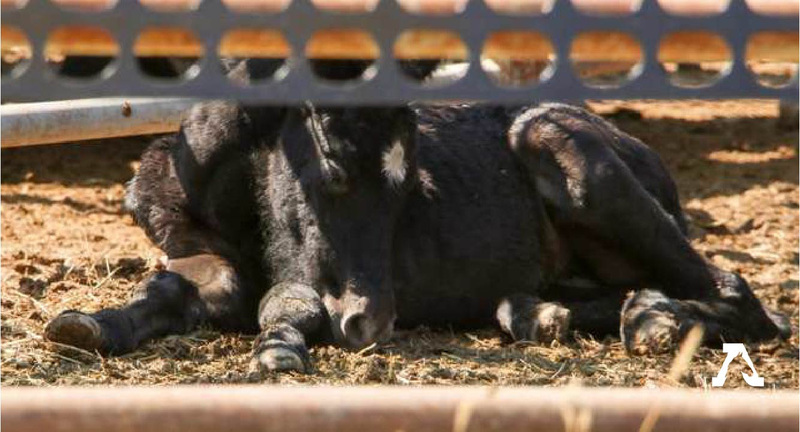 Her baby, pictured below collapsed in a holding pen, died overnight due to “capture shock,” ie. being run to death. Help us fight back. Sadly, the foal was just one of ten horses who died during the roundup. 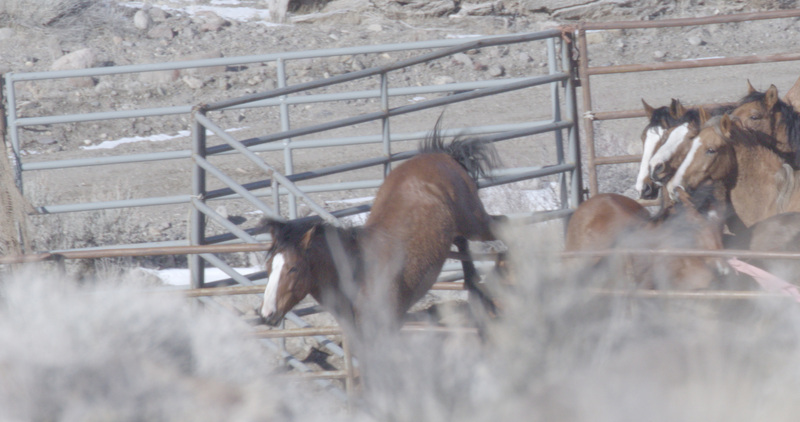 At least four young foals were run to death; a fifth was euthanized after breaking his leg. A sixth foal was euthanized due to a previously broken fetlock, meaning he was chased for miles on an injured leg. 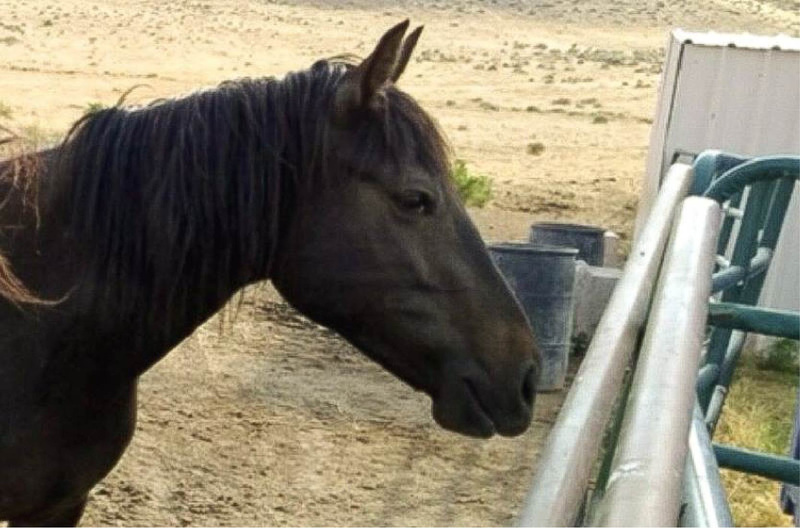 We document these cruelties to shine a light on the horrible, cruel practices of the BLM. 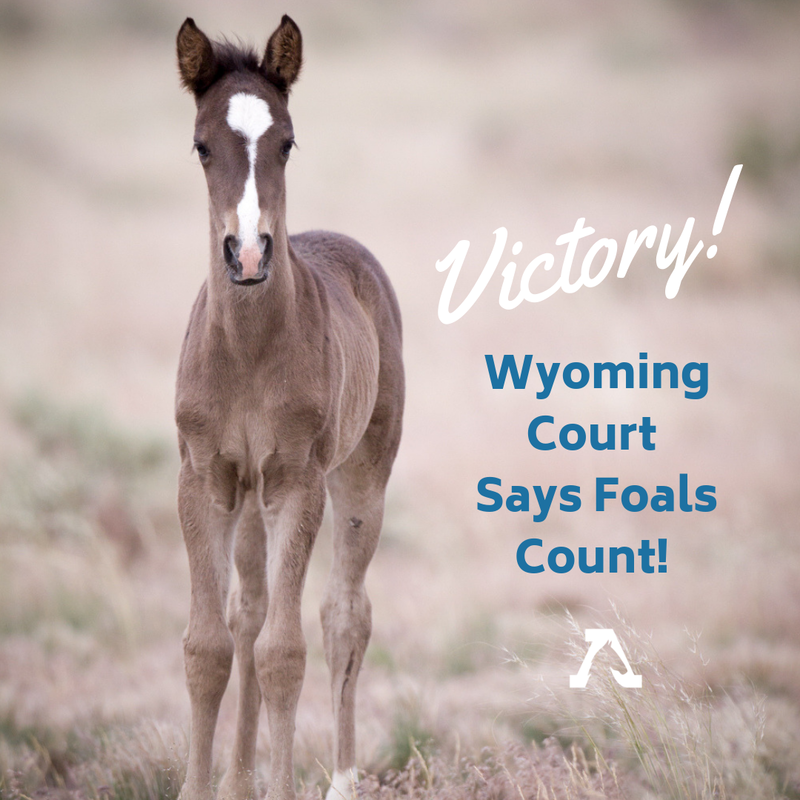 And we fight each and every day through court battles, public awareness and legislation – to change the BLM policy so that our wild horses and burros can remain safe, wild, and free. We fought many battles in 2018 – and saved many lives. But wild horses and burros still need our help. Please, chip in now, and help us fight for horses and burros in 2019 and beyond. Your tax deductible donation will be matched by a generous donor to double your impact. 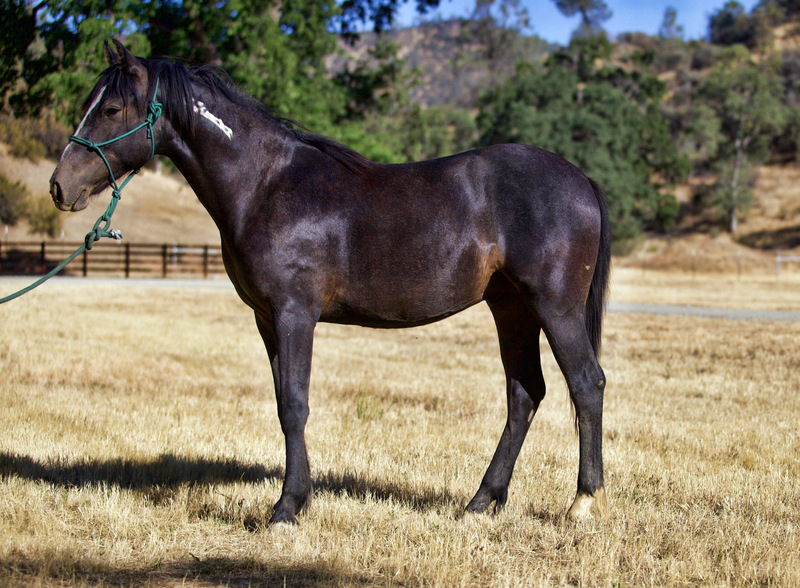 Help us save horses like Sage: Make a matched, tax-deductible gift today! Earlier this year our team captured these images of Sage, a wild mare from the Warm Springs Herd Management Area (HMA) in Oregon. Sage lived her life amidst the sagebrush, junipers and wide-open spaces of Oregon’s high desert. But then, on October 3, 2018, the helicopters descended. 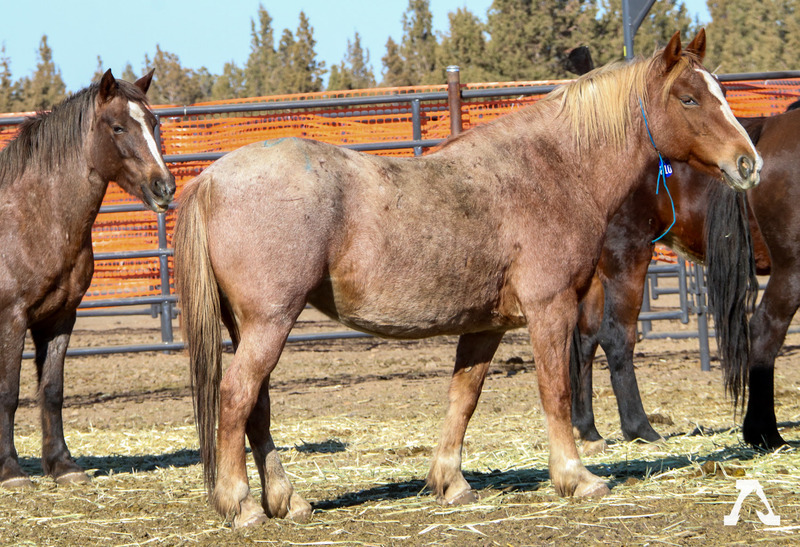 Our lawsuit saved Sage and 224 other wild mares from the brutal sterilization experiments that the BLM had planned. 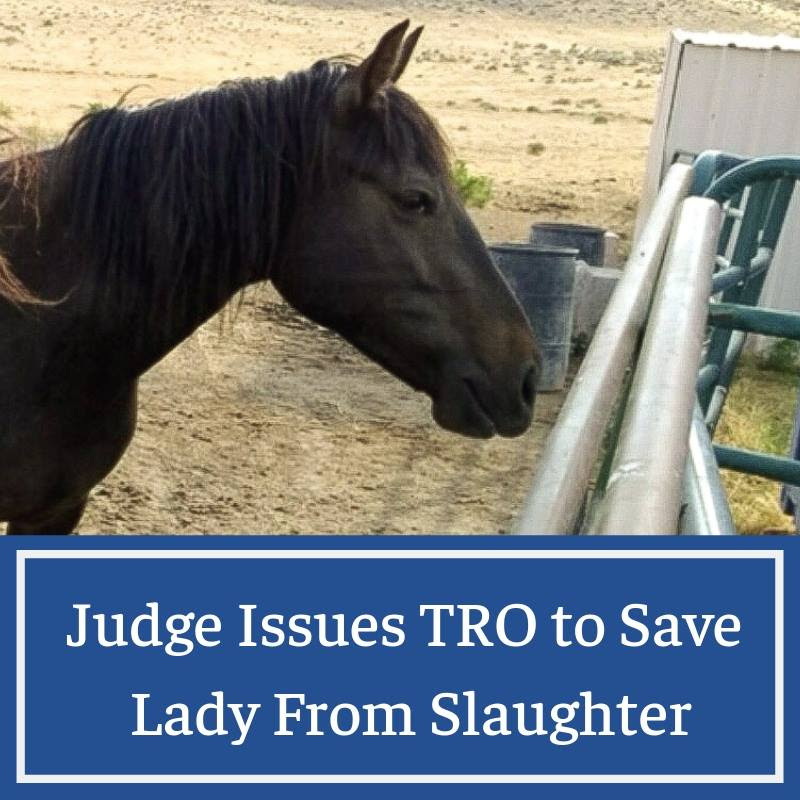 But now we’re fighting to get her and her herd back to the range, after BLM removed 100% of them in the October roundup. 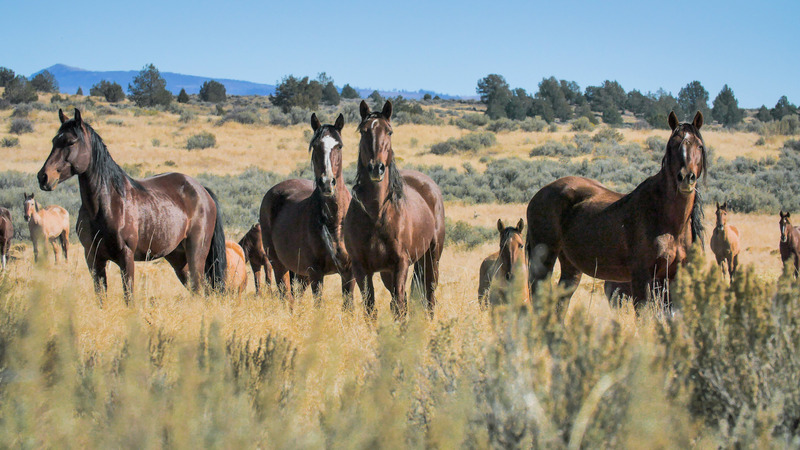 This year, we filed seven lawsuits to defend the freedom, safety and welfare of wild horses like Sage. Our litigation has been highly successful, but it’s not cheap. Please support our work to help us help wild horses like Sage be safe, wild and free in 2019. All contributions are tax deductible and are being matched up to $100,000 through December 31, so you can double your impact by making a gift today! Peace, Love and Freedom…from AWHC! Happy holidays from all of us at AWHC! It’s been an honor to work with you this year to protect the magnificent wild horses and burros that grace our public lands. Together, we’ve made significant strides, and much work lies ahead. For now, we enjoy the holiday season and the spirit of compassion, generosity and joy that it inspires. Wishing you and your family peace, love and freedom over the holidays and in the New Year! Thank you for being part of our herd!